Worcester – There are many boiler manufacturers out there, and today we thought it might be a good idea to profile the Worcester Bosch boiler. The company history, the boiler itself and a few other nuggets of valuable information that might make your boiler replacement that little bit more informed. Firstly, the Worcester brand is owned by the Bosch Group, the renowned German manufacturing company that producing household products, automotive products, power tools, even security systems. And of course the Worchester Boiler! Bosch bought many company throughout its history and it bought out the Worcester company in 1996. Worcester itself was founded in 1962 and grew to become one of Britain’s leading boiler manufacturers, they even have a Royal Warrant and were awarded the Which Best buy award 23 times!! Worcester…..they may be doing something right! So, why do Worcester continue to win these type of boiler industry awards? Worcester have focused on three areas of improvements, Efficiency, increasing their products Green credentials and also investing in innovative Systems, such as smart boiler controls. Worcester have a history of innovation, over 50 years ago they were a leading supplier of oil-fired central heating equipment. We have already spoken about combi boilers, well in 1971, Worcester were one of the first to introduce the combi boiler to the British market. In 1986 Worcester listed on the British stock market at 1.10 and rose to 13 pounds, in 18 months. Investors obviously saw growth in the Gas and Oil Boiler Market! To finish of the 80’s, the company at the time called Worcester Engineering was rebranded to Worcester Heat Systems. A wise move. And I forgot to mention in 83, the company’s production plant was levelled due to a extensive fire and within three weeks, the company was back producing boilers! Phenomenal. A new production site was purchased and even a training centre was opened in Amersham, the company was on the up and the 90’s were about to elevate the company even further! You’ll have to check back into our boiler repair blog to follow the Worcester story, we have to take an ad break! Here is a recent Worcester Advert! 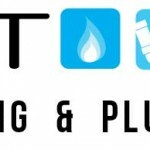 Remember, Boiler Repair Dublin covers all types of boilers and heating systems in Dublin, Wicklow, Meath, and most counties in Leinster, so feel free to call the team on 01-5397223, email: info@boilerrepairdublin.com or fill out the Worchester boiler repair, service or replacement make an appointment form.